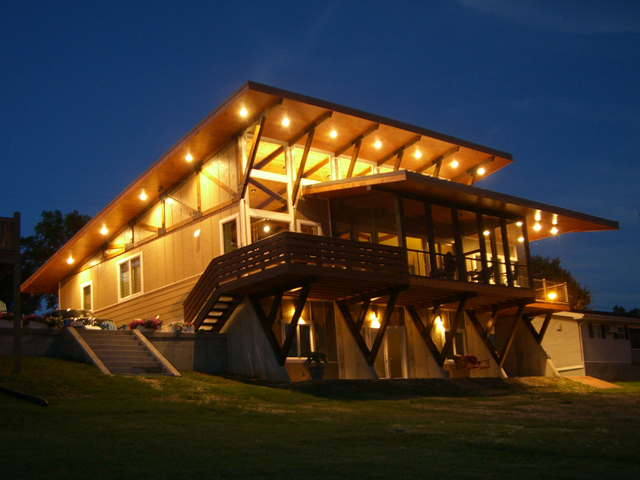 This lakeside cabin is designed for multi-generational family use. 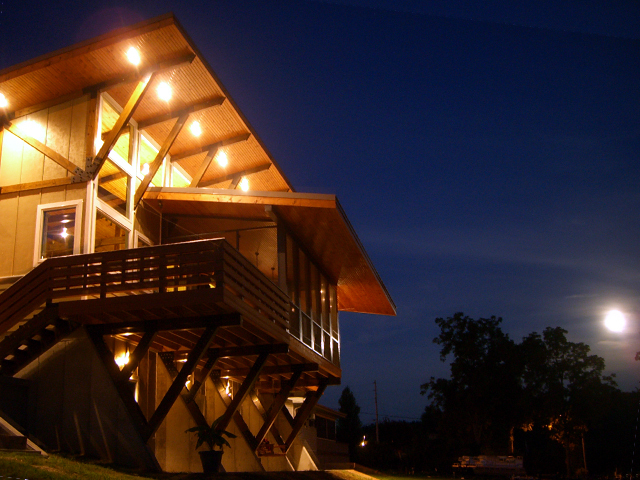 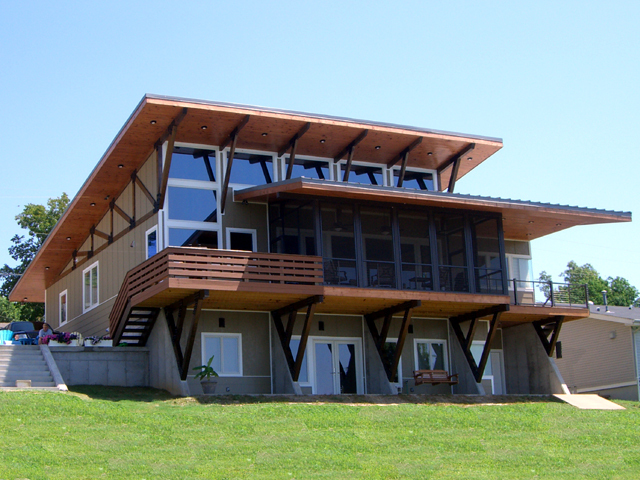 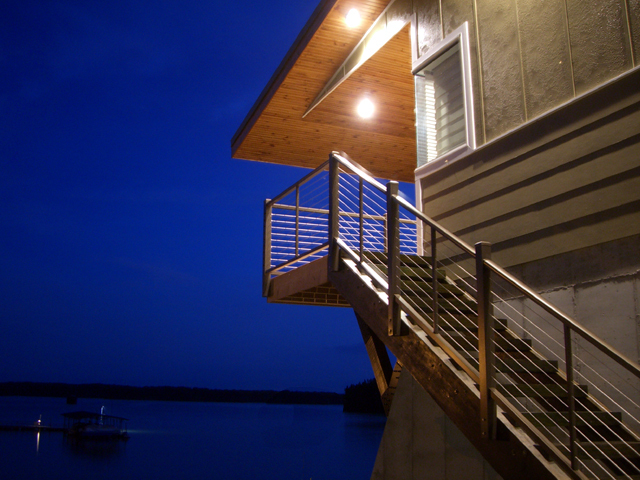 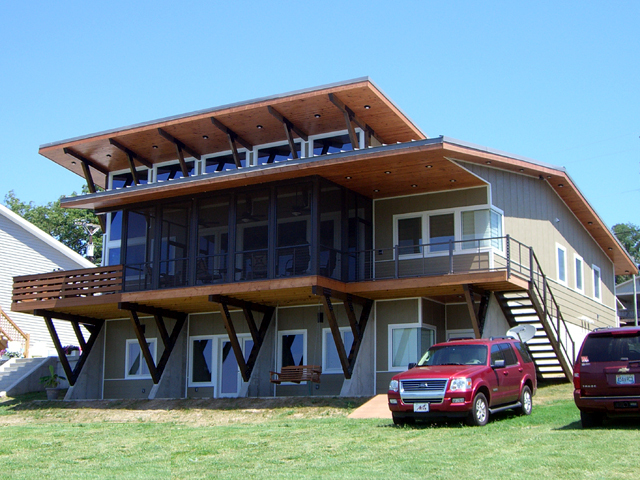 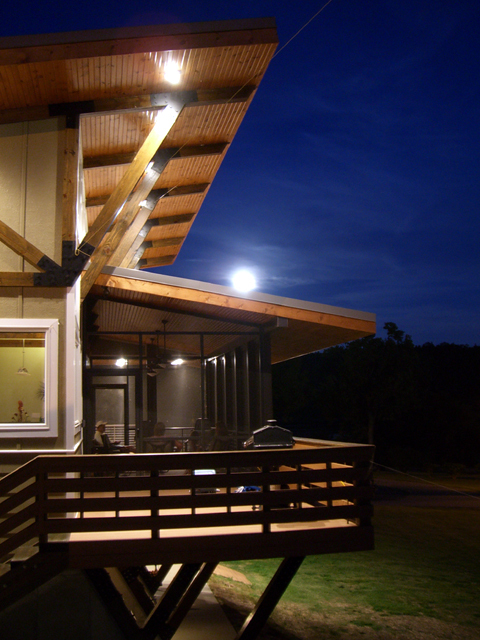 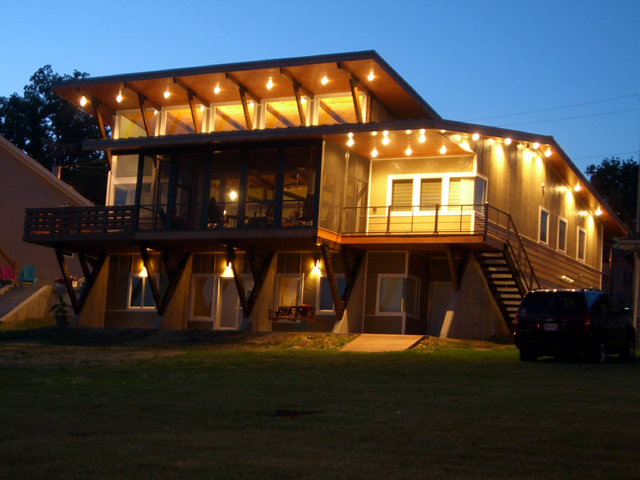 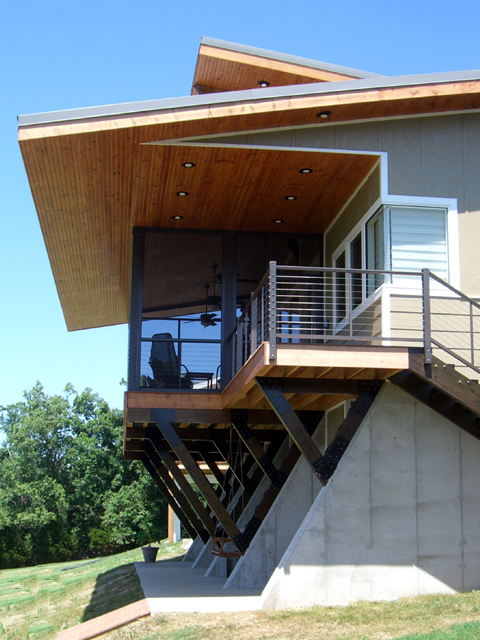 It utilizes large windows facing the lake but shields them from the sun with large overhangs and cantilevered roofs. 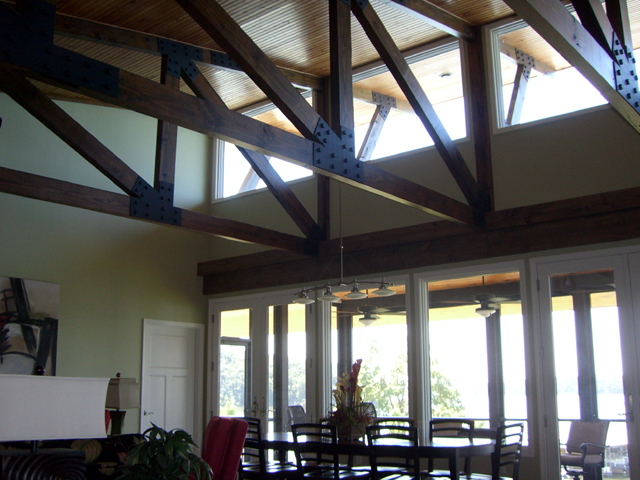 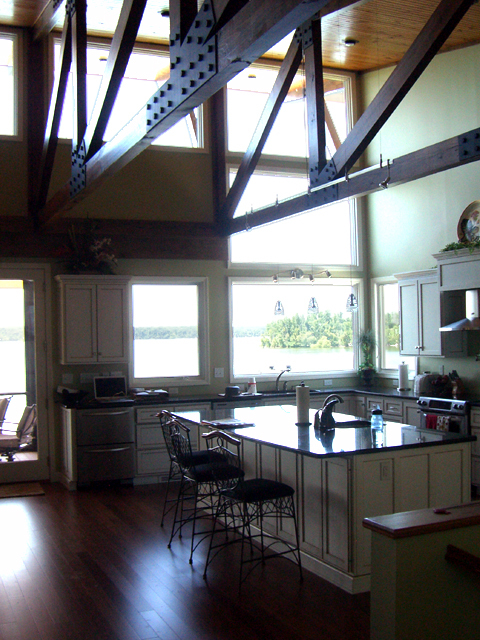 The main family space is an open kitchen-living-dining room with 16 foot tall ceilings spanned by timber trusses. 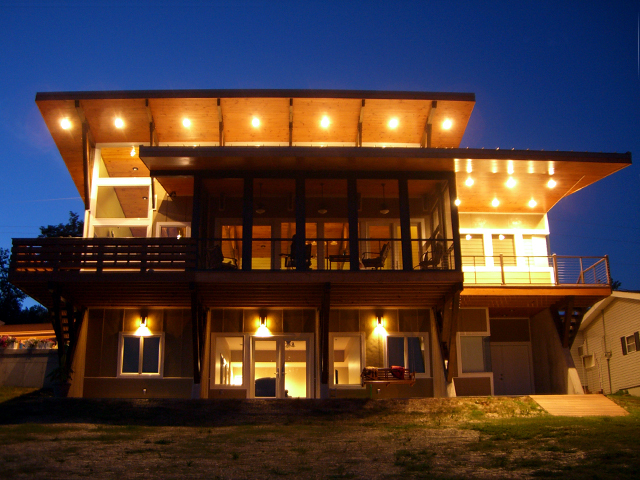 The house accommodates extended family with 4 bedrooms upstairs, each with an on suite bath, and two bedrooms downstairs along with a second living room and wet bar.